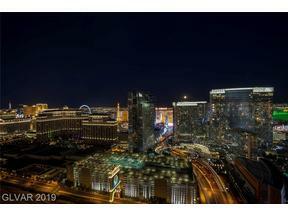 For Clients looking to purchase a property close to the Strip that can be used for personal enjoyment and also leased out when they are not utilizing it, Trump International Hotel-Condo is an excellent choice. Hotel-Condo type of ownership is a very viable option for many buyers as it allows them to own a property that can be entered into a rental program that is on-site. 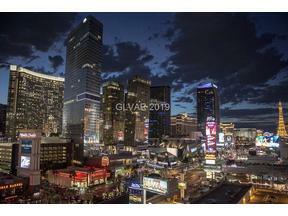 When owners do visit Las Vegas and wish to stay in their unit they can do so by making a reservation for themselves with owner services directly. Hotel guests will be treated to 5-star accommodations and amenities that are synonymous with the Trump name as it defines luxury in every sense. Full service Valet, Doormen, Bellhops, Security personnel and a well informed front desk staff greet you upon arriving at the main entrance. The lobby is expansive and luxurious with access to an award winning restaurant and bar should travelers be in need of drink or fare at the DJT dining room named after the developer and 45th President of the United States. Once in the actual units, guests will be treated to interior spaces that are elegant, comfortable and designed with attention to detail that is rarely seen in comparable buildings. Special attention was given to the positioning of the tower when it was first conceptualized in order to maximize the potential for some of the most awe inspiring views from the units in this building. Views to the South look down Las Vegas Blvd. towards the Mirage, Venetian, Caesar’s Palace and the Bellagio. To the East there are magnificent views of the Wynn and the Encore Hotel / Casino’s which may be some of the most attractive resorts in all the world to the eye of the beholder. 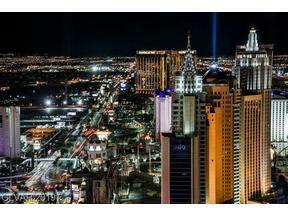 Looking to the North and West guests can marvel at the newly envisioned Resorts World International which we expect to be one of the largest and most amazing properties on the Strip that Las Vegas has ever seen. Trump International Hotel-Condo tower itself is one of the most stunning projects in the city with it’s gold infused glass, 36,000 square foot recreation deck that includes a resort style pool / spa and cabana’s where guests can lounge poolside in style. There is also a state of the art gym / fitness facility and a Spa which offers all the massage and beauty treatments one would expect from a world class resort. Guests can grab a bite or a cocktail at the pool side restaurant H2eau located adjacent to the pool area. 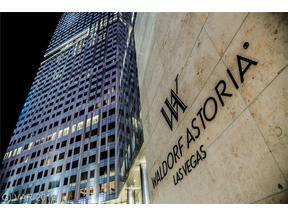 Conveniently located on Fashion Show Dr. between Dean Martin Dr. and Las Vegas Blvd. 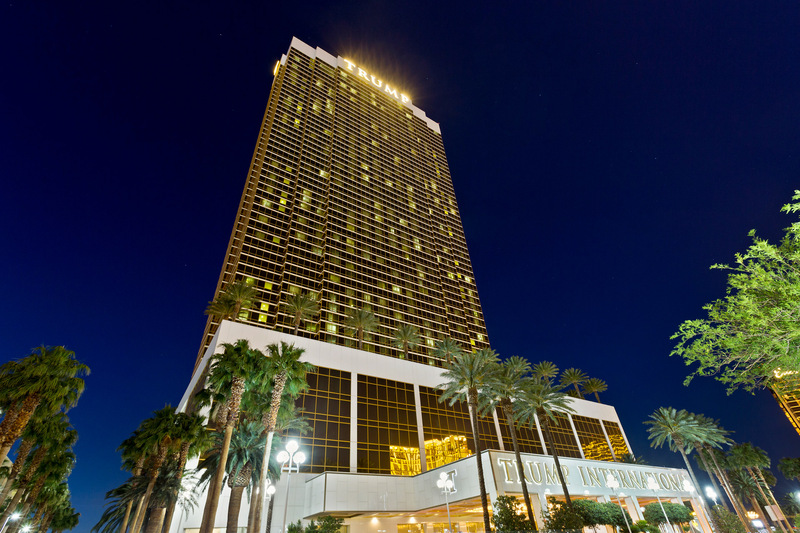 Trump Tower is right across the way from the Fashion Show Mall with access to some of the finest department stores and dining on the boulevard and is just steps from the Wynn and Encore Hotel / Casino’s. 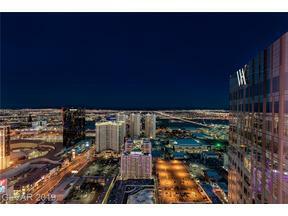 Trump Tower is the tallest residential tower in Las Vegas at 640 feet and is 64 stories tall, housing 1,282 rooms 33 of which are currently listed in the MLS for re-sale. 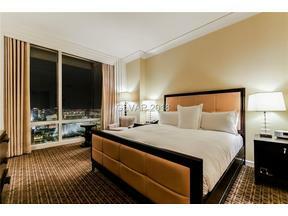 Studio units are 533 sq ft and can be purchased in the mid to high $200,000 range, one bedroom units are approx. 974 sq. 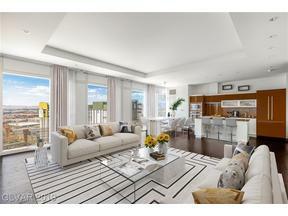 ft. and range from the low $400,000 to $650k depending on floor height and view orientation. 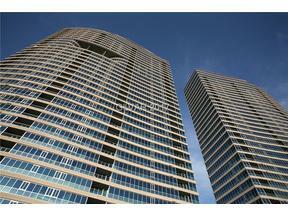 We currently have the most livable, impressive unit in the entire tower listed with our team. 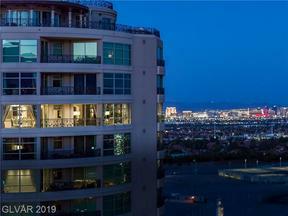 This double master, split bedroom penthouse sits on the 60th floor and is furnished and designed with a style and flavor that is unrivaled in the hotel-condo or private residential real estate market. 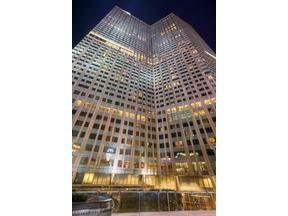 The ML # is 1899883 and it is unit #6005, listed for sale at $1,250,000. 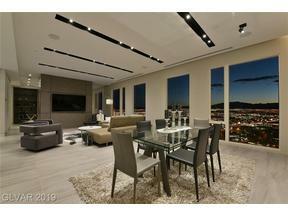 In all my years of representing Buyers and Sellers in the High Rise market I have yet to find a two bedroom floorplan that compares to this premier penthouse unit. 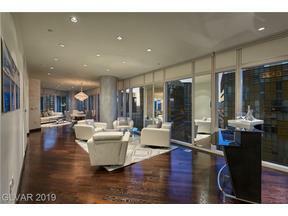 At a spacious 1,735 square feet this unit has a luxe living area complete with a dining table, kitchen counter for eating and a kitchen finished with sub-zero refrigerator and Wolf appliances. 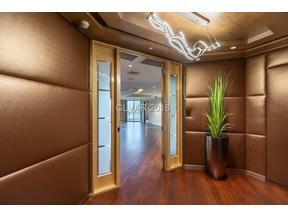 This entry was posted in Las Vegas Hotel Condos, Las Vegas Strip Condos for Sale, Trump Las Vegas Condos. Bookmark the permalink.